The Francis Crick Institute (formerly the UK Centre for Medical Research and Innovation) is a biomedical research centre in London, which opened in 2016. The institute is a partnership between Cancer Research UK, Imperial College London, King's College London (KCL), the Medical Research Council, University College London (UCL) and the Wellcome Trust. The institute is planned to have 1,500 staff, including 1,250 scientists, and an annual budget of over £100 million, making it the biggest single biomedical laboratory in Europe. The institute is named after the British molecular biologist, biophysicist, and neuroscientist Francis Crick, co-discoverer of the structure of DNA, who shared the 1962 Nobel Prize for Physiology and Medicine with James Watson and Maurice Wilkins. Unofficially, the Crick has been called Sir Paul's Cathedral, a reference to Sir Paul Nurse and St Paul's Cathedral in London. How does the nervous system detect, store and respond to information and retain that information throughout life? The new Francis Crick Institute building, photographed in October 2015. The Francis Crick Institute is located in a new state-of-the-art building built next to St Pancras International railway station in the Camden area of Central London. It consists of four reinforced concrete blocks up to eight storeys high plus four basement levels. The total internal floor area is 82,578m2 including 29,179m2 of laboratories with 4km of laboratory benching and 21,839m2 of associated write up space. In July 2008 Arup Project Management, who had previously been involved in site evaluation studies, were appointed by the client UKCMRI as project manager for the Institute’s chosen location at Brill Place. In August the full professional team was appointed, including architect and lead designer HOK, AKT II (structural engineer), Arup (building services engineering) and Turner & Townsend (cost managers). In 2010 PLP Architecture was appointed to collaborate with HOK on the building’s external envelope and BMJ architects were retained as a biological research facilities consultant. Construction began in July 2011 and reached practical completion on time and within budget in August 2016, with researchers starting work in the new building in September. The construction cost was £465 million  and including fit-out of the building the capital cost of the project has been approximately £700 million. When it is fully occupied and operational, in early 2017, the Francis Crick Institute will employ 1500 staff, including 1250 scientists, and have an operating budget of approximately £130 million a year. As well as state of the art scientific equipment, much of it extremely sensitive to vibration and electromagnetic emissions, and requiring advanced methods of air handling, over a third of the building is given over to plant rooms and services distribution. The facility incorporates a combined heat and power plant in order to provide low-carbon onsite power. Solar panels installed in the roof provide extra renewable power and all light fittings are energy-efficient. The roof also hides the heating and cooling units. A third of the building is below ground-level to reduce its visible size and provide further protection to sensitive equipment. Labs within the building are arranged over four floors, made up of four interconnected blocks, designed to encourage interaction between scientists working in different research fields. The institute also includes a public exhibition/gallery space, an educational space, a 450-seat auditorium and a community facility. As of 2016 The Crick is led by a Board of directors, an executive committee and associate research directors. The board of directors is chaired by Sir David Cooksey and includes Maggie Dallman, Peter Gruss, Lynne Gailey, Sir Harpal Kumar, Lord Willetts, David Lomas, Chris Mottershead, Philip Yea, Jeremy Farrar and Doreen Cantrell. As of 2016 the executive committee of the Crick is staffed by Paul Nurse, (Chief Executive) and includes David Roblin, Chief Operating Officer, Jim Smith, Director of Research, Sir Richard Treisman, Director of Research, Nick Carter, Melanie Chatfield, Ruth Collier, John Cooper, Alison Davis, Steven J. Gamblin, Malcolm Irving, John Macey, Stephane Maikovsky, Katie Matthews, Sir Keith Peters, Geraint Rees and Jonathan Weber. The associate research directors are Anne O'Garra, Julian Downward and John Diffley. Francis Crick, who with James Watson created the first double- helix model of DNA and is a "father of modern genetics"
In 2003 the Medical Research Council decided that its National Institute for Medical Research (NIMR) would need to relocate from Mill Hill. A Task Force, one of whose external members was Sir Paul Nurse, was established to consider options. Sites eventually rejected included Addenbrooke's and the National Temperance Hospital. 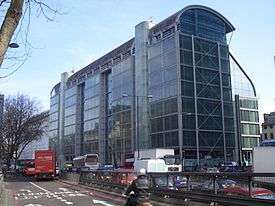 On 11 February 2005 it was announced that NIMR would relocate to UCL, but this was dependent on funding from the government’s Large Facilities Capital Fund and did not proceed. In December 2006 the Cooksey Review, commissioned by the Chancellor Gordon Brown in March, was published. It assessed the strategic priorities of UK health research, highlighting in particular the importance of translating basic research into health and economic benefits. 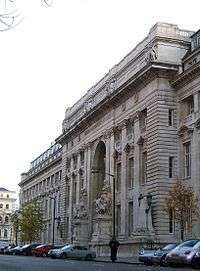 The creation of the UK Centre for Medical Research and Innovation (UKCMRI) was announced by the then British Prime Minister, Gordon Brown, on 5 December 2007. On 13 June 2008 the 3.5 acre eventual site on Brill Place was bought for UKCMRI for £85m, of which £46.75 was provided by MRC. On 15 July 2010 it was announced that Nobel laureate Sir Paul Nurse would be the first Director and Chief Executive of the UKCMRI. He took up his post on 1 January 2011. On 20 October 2010 the Chancellor of the Exchequer, George Osborne, confirmed that the British Government would be contributing £220 million over four years towards the capital cost of the Centre. On 11 November 2010 Cancer Research UK, the Medical Research Council, UCL and the Wellcome Trust signed an agreement to establish the UKCMRI as a charitable foundation, subject to the agreement of the Charity Commission. 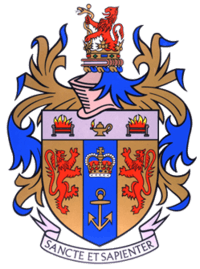 On 15 April 2011 it was announced that Imperial College London and King's College London would be joining the UKCMRI as partners and that both had signed a memorandum of understanding to commit £40 million each to the project. On 25 May 2011, it was announced that the UKCMRI would be renamed the Francis Crick Institute in July to coincide with ground being broken on the construction of its building, in honour of the British scientist Francis Crick. In July 2011 the UKCMRI was renamed the Francis Crick Institute. A dedication ceremony for the new building was held on 11 October 2011, attended by Mayor of London Boris Johnson, David Willetts MP and Sir Paul Nurse. Francis Crick's surviving daughter Gabrielle (by his second marriage) gave a short speech while his son Mike (by his first marriage) donated Crick's California licence plate "AT GC" into a time capsule buried during the ceremony. In July 2015 GlaxoSmithKline was announced as the institute's first commercial partner. The deal involves contribution of resources and personnel to joint projects. On 7 October 2015 Tomas Lindahl, Emeritus group leader at the Francis Crick Institute and Emeritus director of Cancer Research UK at Clare Hall Laboratory, Hertfordshire, was awarded the Nobel Prize in Chemistry together with Paul Modrich and Aziz Sancar. On 24 February 2016 ‘Paradigm’, a 14-metre high sculpture made of weathered steel and designed by the British artist Conrad Shawcross, was installed outside the institute. It is one of the largest public sculptures in London. On 1 March 2016 Professor Tim Bliss, from the Crick, and Professors Graham Collingridge (University of Bristol) and Richard Morris (University of Edinburgh) were awarded The Brain Prize. In mid August 2016 construction work finished and the building was handed over. The first scientists moved in on 1 September. 1 2 Jha, Alok (19 June 2010). "Plans for largest biomedical research facility in Europe unveiled". London: The Guardian. Retrieved 11 August 2010. 1 2 "The new building | The Francis Crick Institute". The Francis Crick Institute. Retrieved 2015-10-31. ↑ Walsh, Fergus (1 September 2016). "The Crick: Europe's biggest biomedical lab opens". BBC News. 1 2 3 "Three's company: Imperial, King's join UCL in £700m medical project". Times Higher Education. 15 April 2011. Retrieved 16 April 2011. 1 2 3 "Project Press Release". UK Centre for Medical Research and Innovation web site. 21 June 2010. Retrieved 11 August 2010. ↑ Callaway, Ewen (2015). "Europe's superlab: Sir Paul's cathedral". Nature. 522 (7557): 406–408. doi:10.1038/522406a. PMID 26108834. 1 2 3 4 "The Francis Crick Institute, London". Retrieved 20 October 2016. 1 2 Berry, Steve. "Engineering DNA" (PDF). CIBSE Journal (September 2014): 24–28. Retrieved 20 October 2016. ↑ "UCL in partnership". UCL Annual Review: 5. 2008. Retrieved 20 October 2016. ↑ "Laing O'Rourke to be UKCMRI main contractor". Retrieved 20 October 2016. ↑ "Science begins in the new Francis Crick Institute building". The Francis Crick Institute. Retrieved 5 September 2016. ↑ Matthews, David (26 November 2015). "The Francis Crick Institute: science and serendipity". THES. Retrieved 20 October 2016. ↑ "About us". Retrieved 20 October 2016. ↑ Ferguson, Hugh; Berry, Steve; Partridge, Rob (June 2016). "Francis Crick Institute, London". Ingenia online (67). Retrieved 20 October 2016. ↑ Anon (2016). "Board members". crick.ac.uk. London: Francis Crick Institute. Archived from the original on 2015-09-19. ↑ Anon (2016). "Executive committee". crick.ac.uk. London: Francis Crick Institute. Archived from the original on 2016-06-14. ↑ Anon (2016). "Associate Research Directors". crick.ac.uk. London: Francis Crick Institute. Archived from the original on 2015-06-11. 1 2 "The Medical Research Council's Review of the Future of the National Institute for Medical Research" (PDF). House of Commons Science and Technology Committee. Retrieved 20 October 2016. ↑ "National Institute for Medical Research". House of Commons Hansard. Retrieved 20 October 2016. ↑ "UCL wins lucrative research contract". The Guardian. 11 February 2005. Retrieved 23 October 2010. ↑ "Responses to the Committee's Fourth Report of Session 2004–05" (PDF). House of Commons Science and Technology Committee. Retrieved 20 October 2016. ↑ Cooksey, Sir David. "A review of UK health research funding" (PDF). Retrieved 20 October 2016. ↑ "Deal secures £500m medical centre". BBC News. 5 December 2007. Retrieved 23 October 2010. ↑ "London to lead in medical research". The Telegraph. 5 December 2007. Retrieved 23 October 2010. ↑ "Written evidence UK Centre for Medical Research & Innovation (UKCMRI)" (PDF). House of Commons Science and Technology Committee. Retrieved 20 October 2016. ↑ "Project Press Release". UK Centre for Medical Research and Innovation web site. 15 July 2010. Retrieved 11 August 2010. ↑ "Sir Paul Nurse: Nobel prize-winner Britain's 'most important' scientist". The Telegraph. 7 October 2010. Retrieved 23 October 2010. ↑ Davies, Katie (20 October 2010). "King's Cross super-lab UKCMRI gets go-ahead". Ham & High. Retrieved 20 October 2016. ↑ "Green light for £600m medical research centre in London". Construction News. 11 November 2010. Retrieved 11 November 2010. ↑ "Plans approved for visionary institute". Retrieved 20 October 2016. ↑ "UKCMRI gets planning permission" (PDF). Retrieved 20 October 2016. 1 2 "A new name for UKCMRI". UK Centre for Medical Research and Innovation web site. Retrieved 25 May 2011. ↑ "Strategy launched at Crick Topping Out Ceremony". Retrieved 20 October 2016. ↑ "Crick Topping Out Ceremony June 2013". Retrieved 20 October 2013. ↑ "Francis Crick Institute receives £3 million grant". Retrieved 20 October 2016. ↑ Ward, Andrew (14 July 2015). "UK's new biomedical research centre teams up with industry". Financial Times. ↑ Hirschler, Ben; Char, Pravin. "GSK first drugmaker to tie up with new Crick institute". Reuters. ↑ "Building work finishes at the Francis Crick Institute". Retrieved 20 October 2016.